Looking for a melt in your mouth personalized cake for a Wedding, Birthday or any Special Occasion in Adelaide? You are at the right place! Our cakes are made with passion! You will get not ?Just a cake? but a Delicious Work of Art that will be remembered and talked about for years. Every piece of decoration is handmade specifically for you. We also make the most exquisite life like Sugar Flowers that can be ordered separately and used to decorate your own cake. We use only top quality, fresh ingredients including Belgium Chocolate, free range eggs, organic butter and top shelf liquors to make our cakes. Every cake is made from scratch! 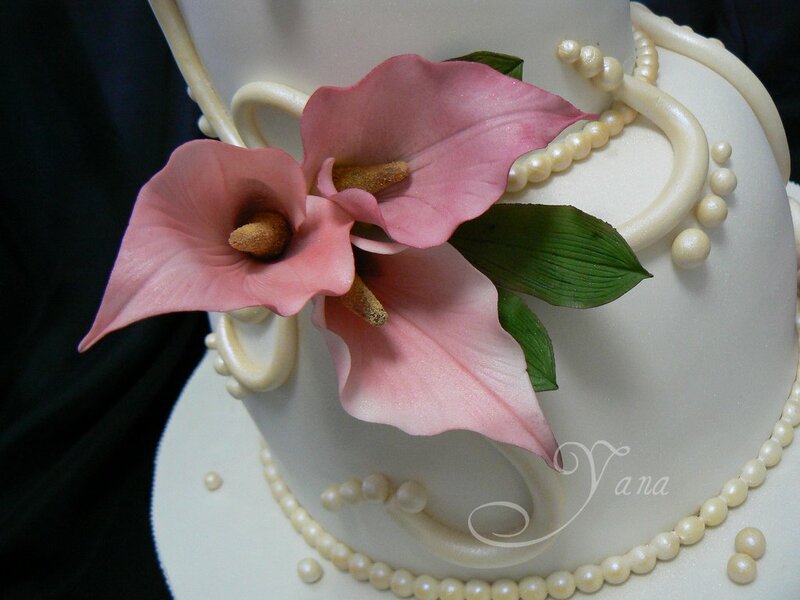 Please contact us to discuss fine details of your cake.